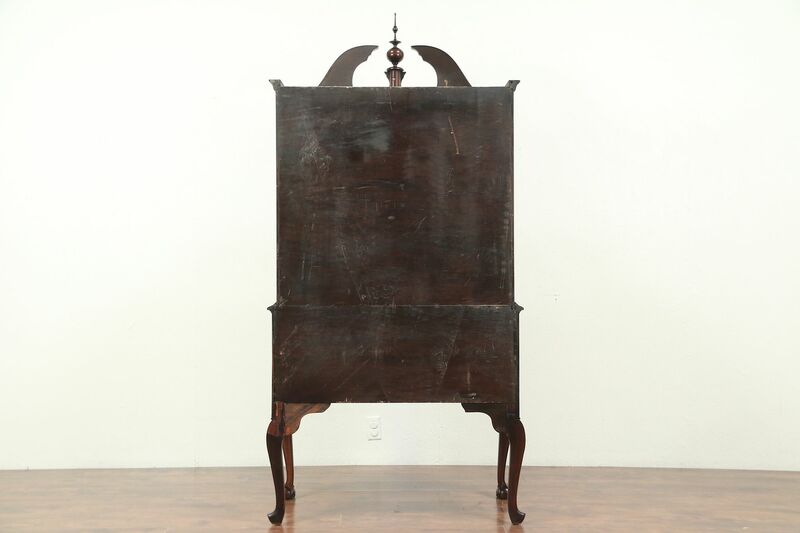 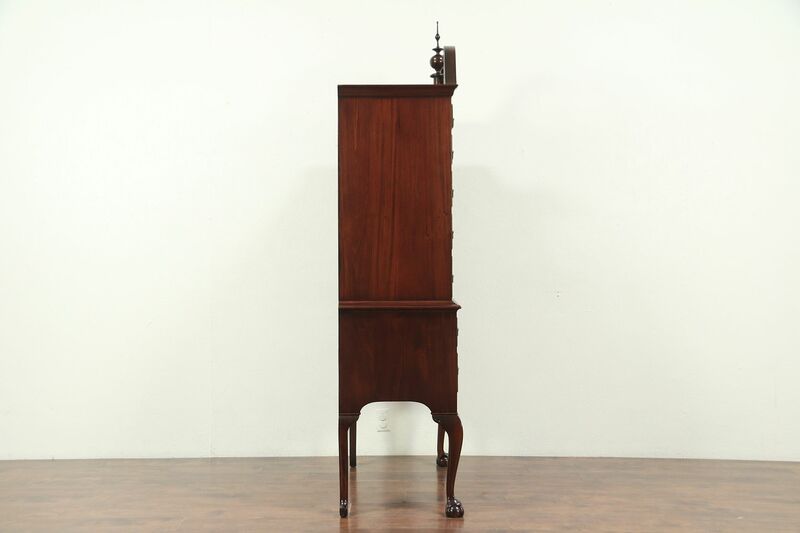 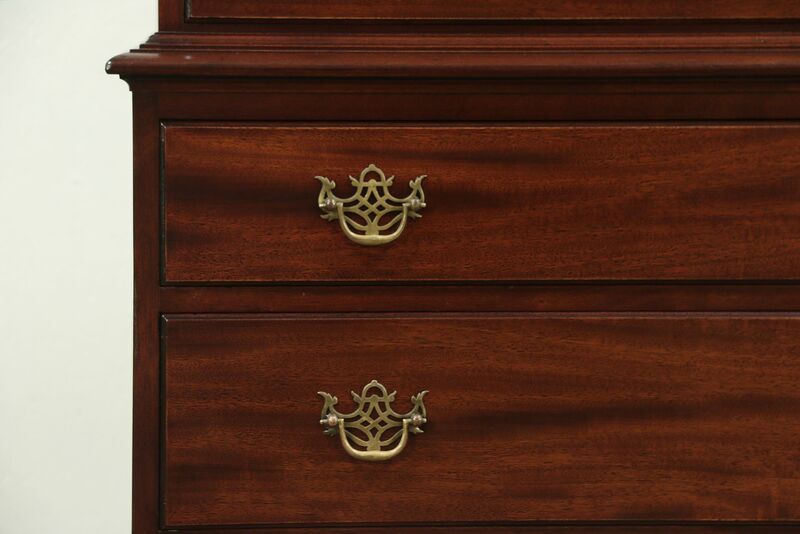 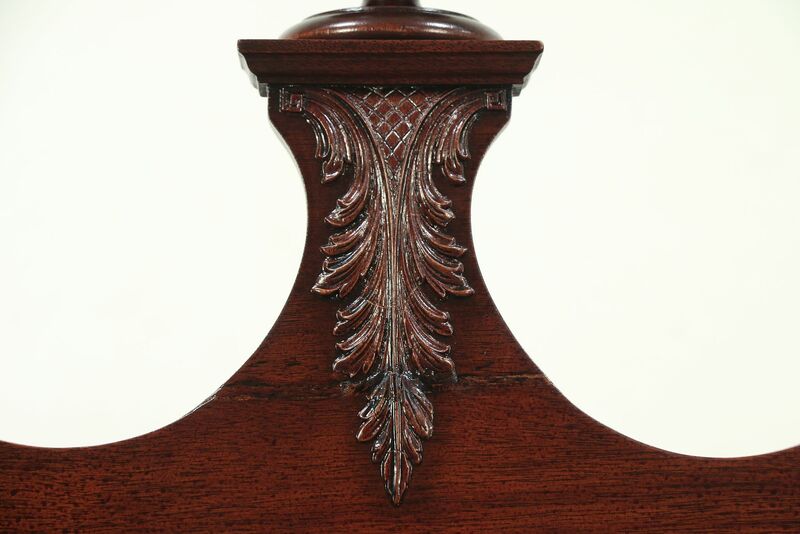 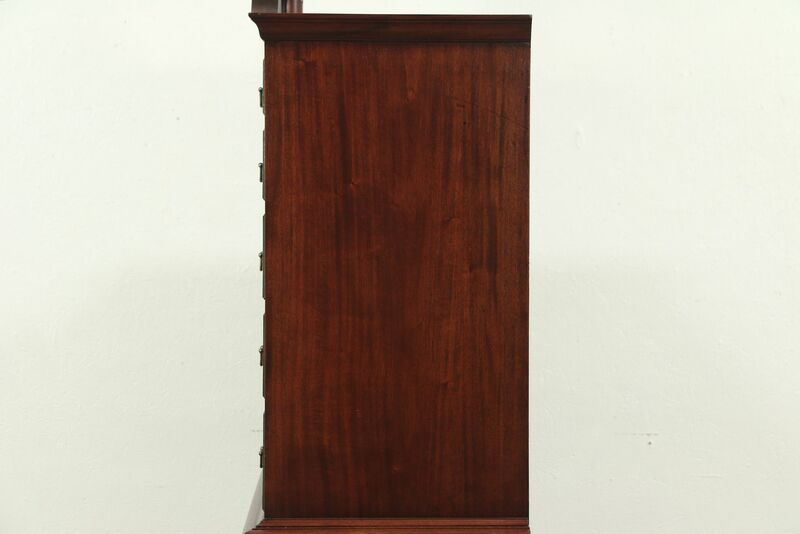 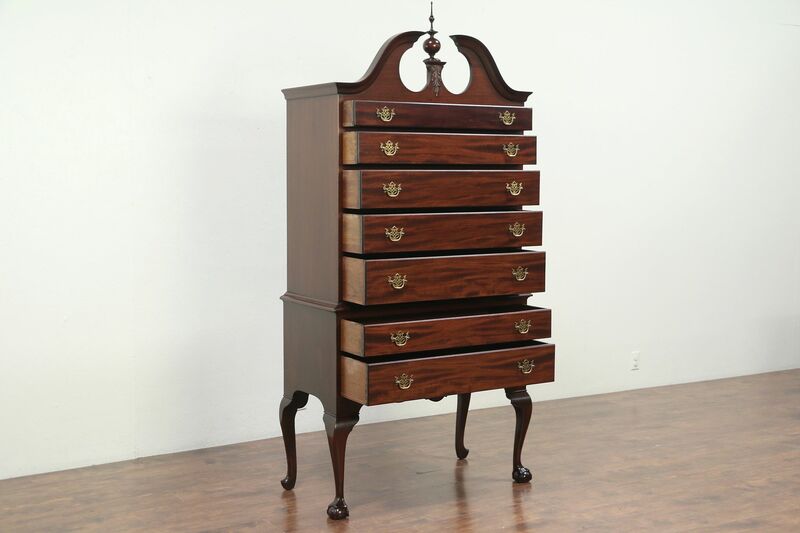 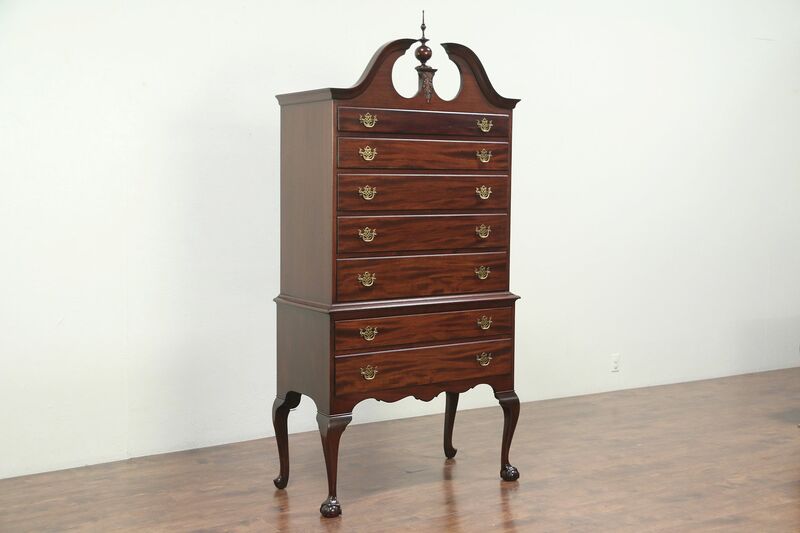 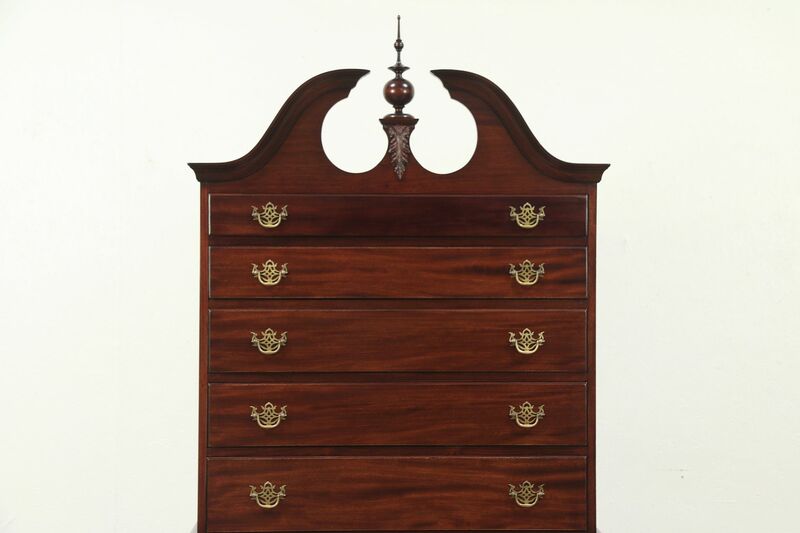 A traditional Georgian style chest on chest, highboy or tall chest of drawers was carved of solid mahogany about 70 years ago. 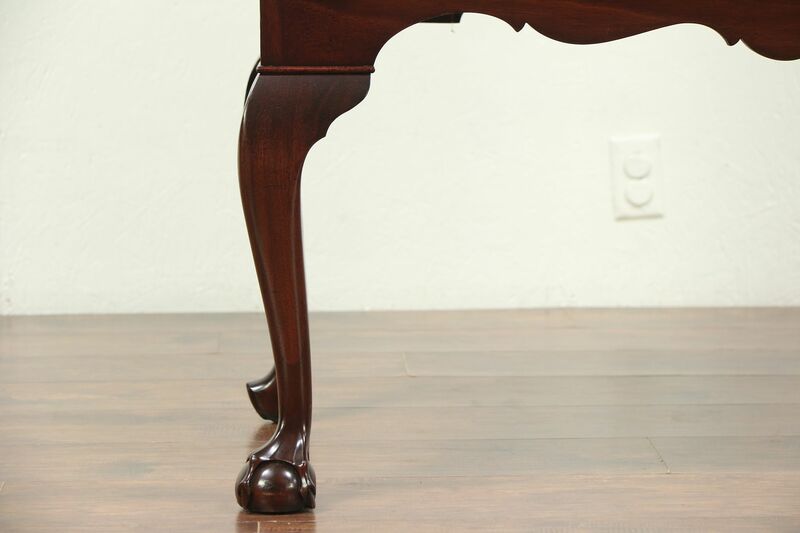 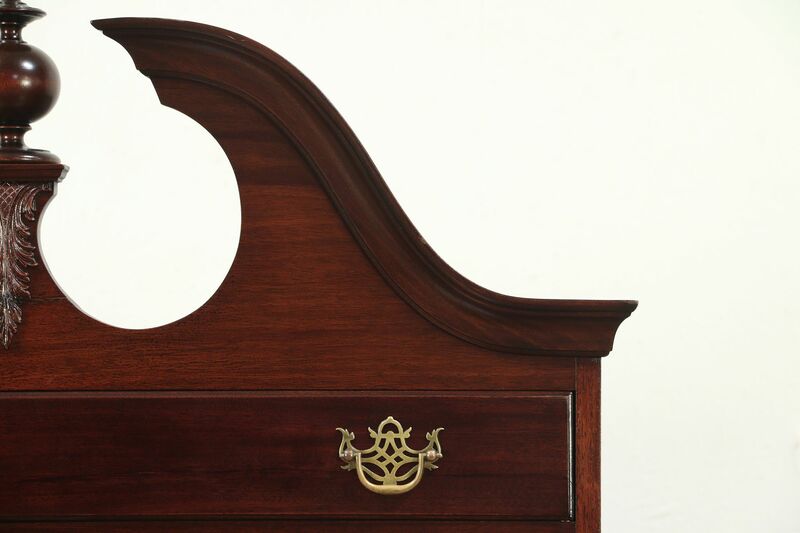 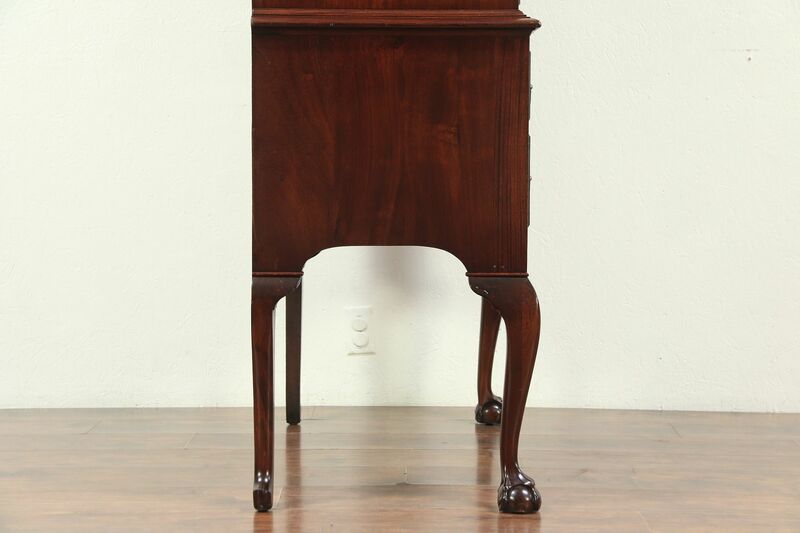 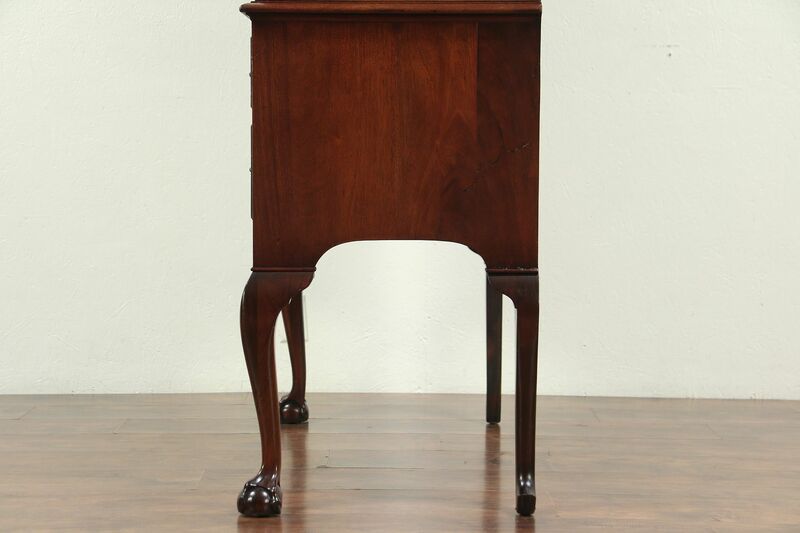 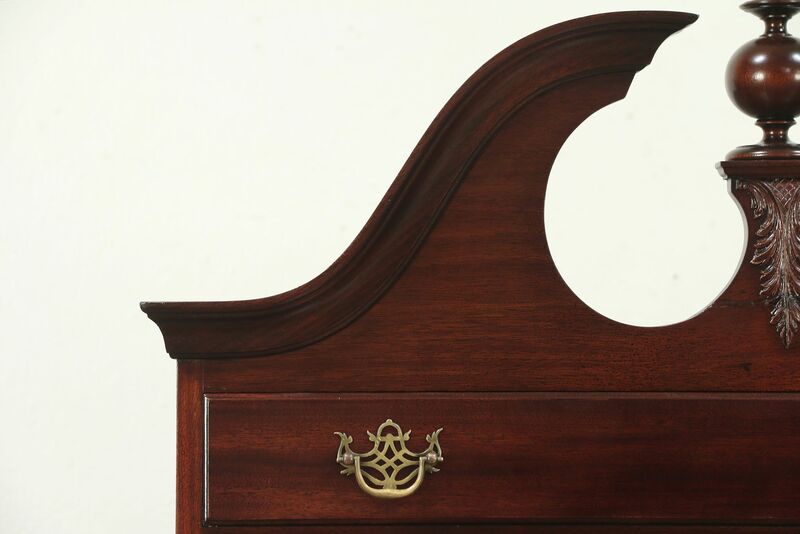 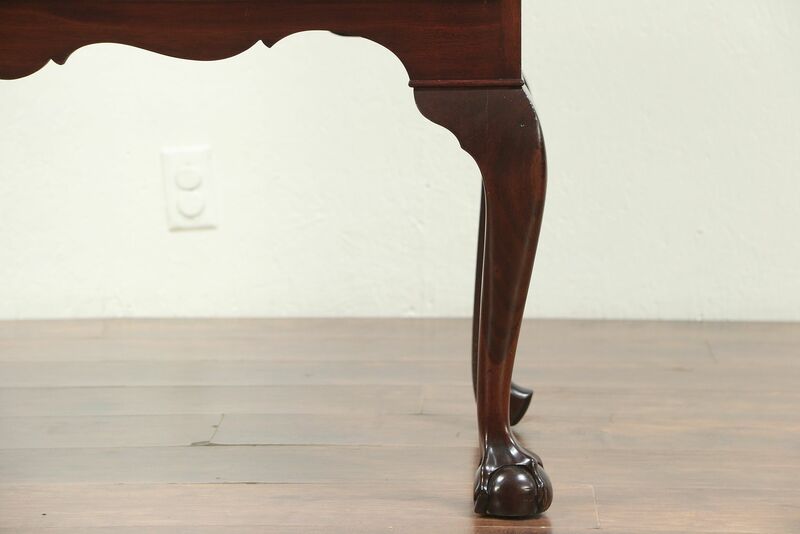 Claw and ball feet plus the graceful pediment with a finial are authentic features. 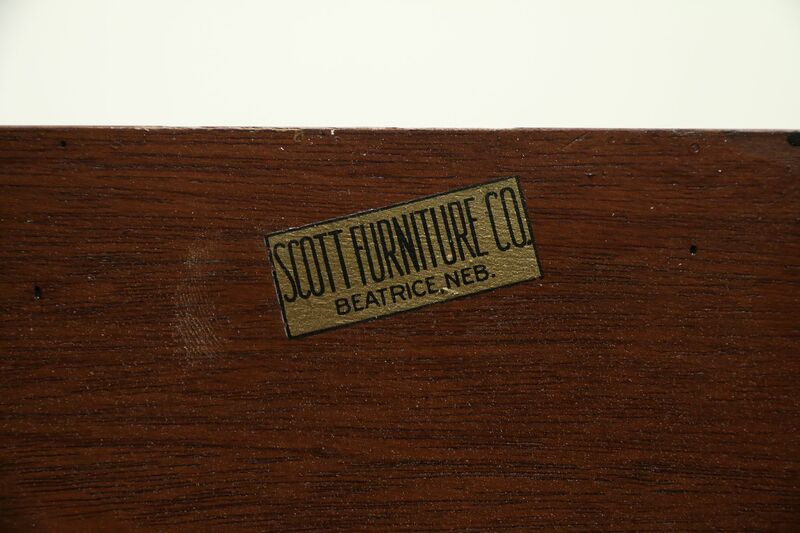 The signature reads "Scott Furniture of Nebraska." 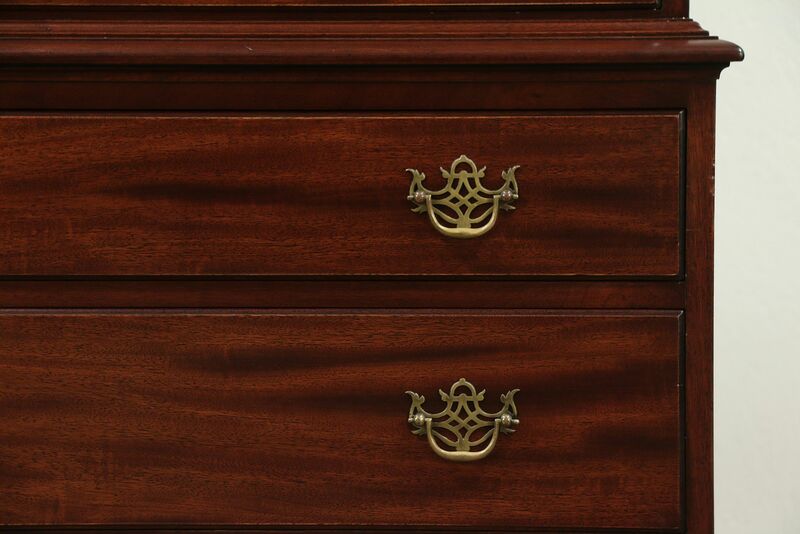 The restored deep finish is in excellent condition, preserving a few mars for a little character, see photos. 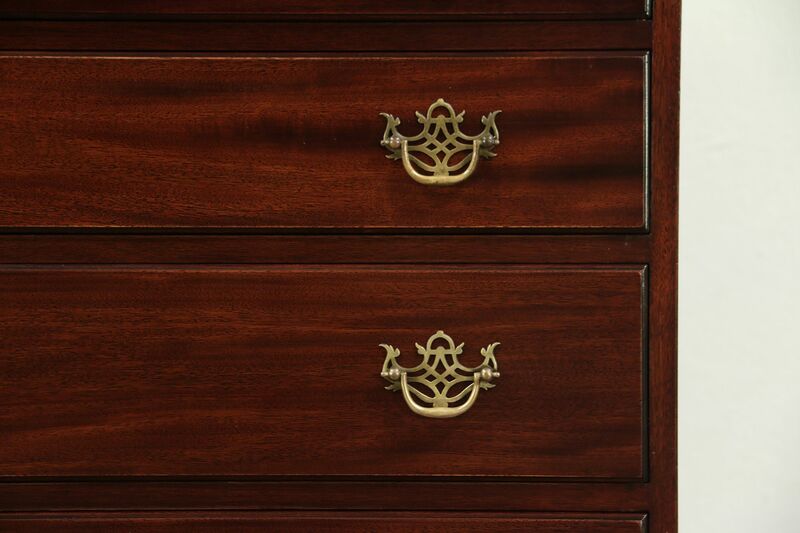 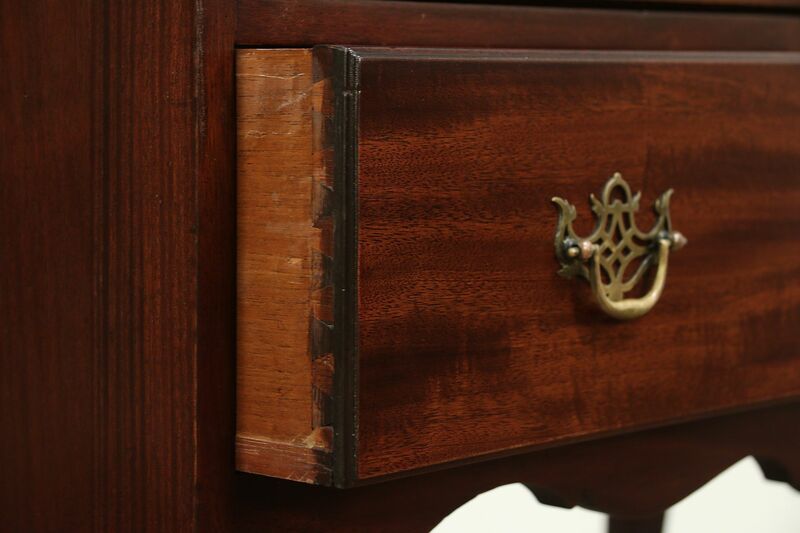 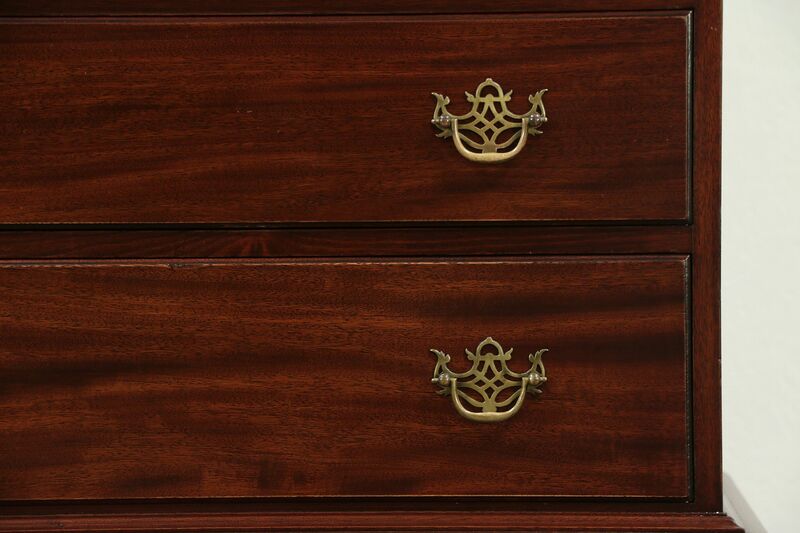 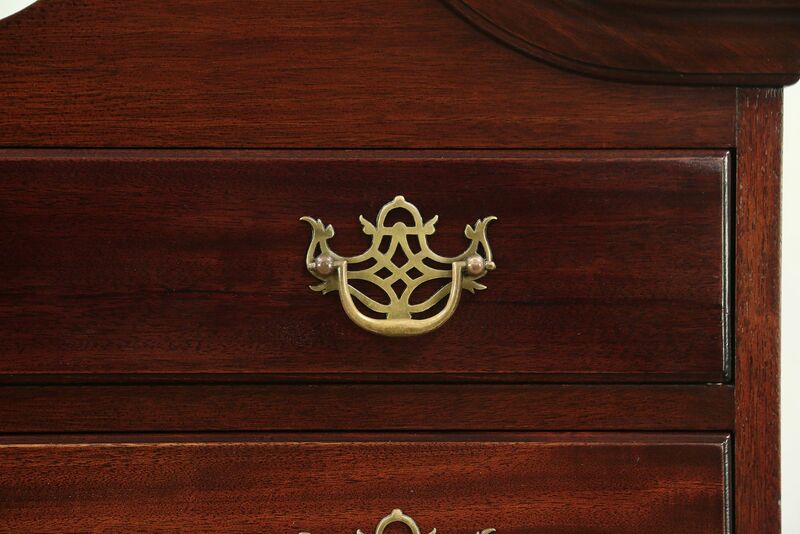 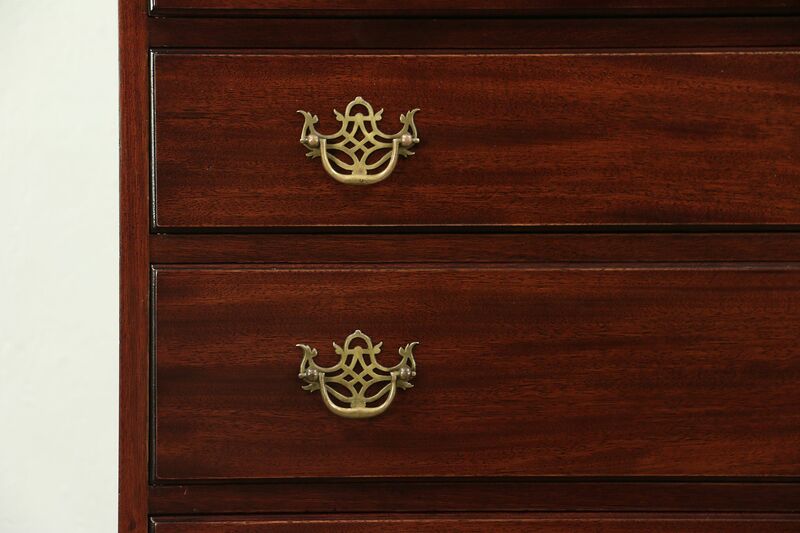 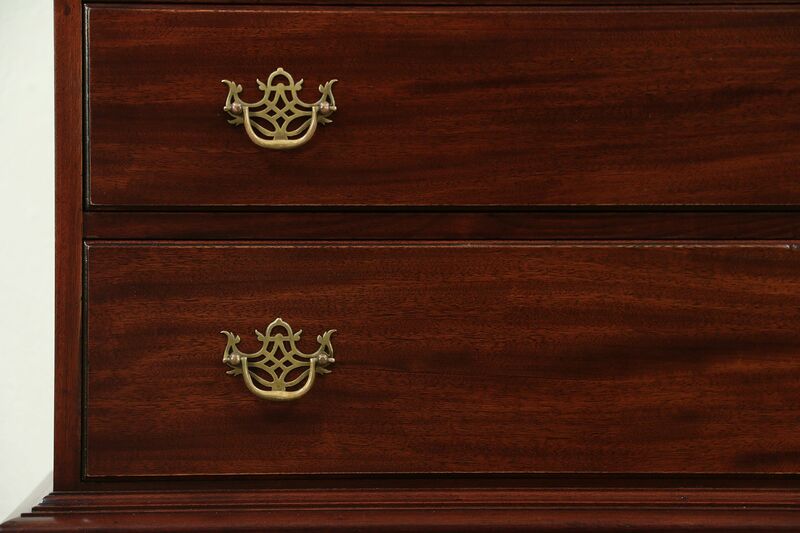 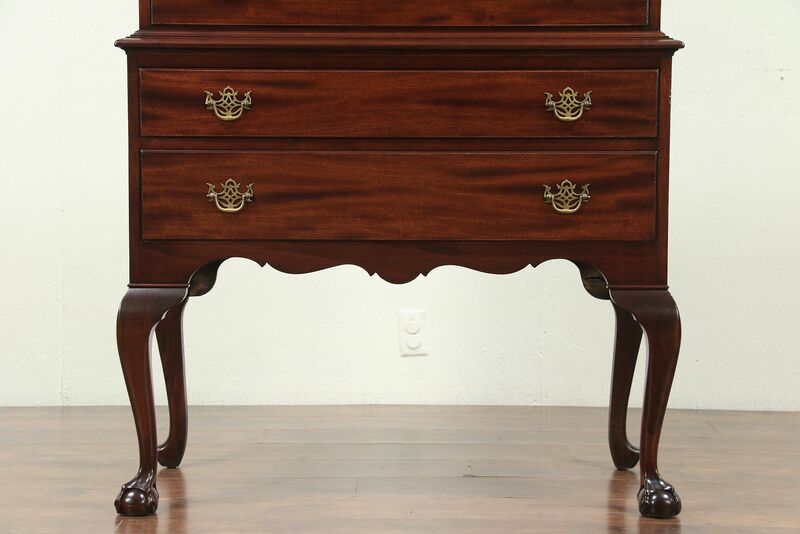 Drawers have dovetailed joints and pierced solid brass original pulls on this American made vintage furniture. 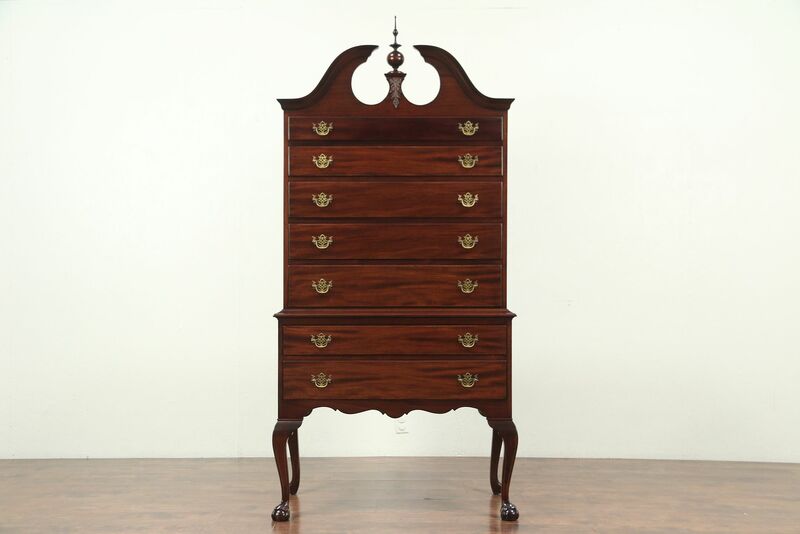 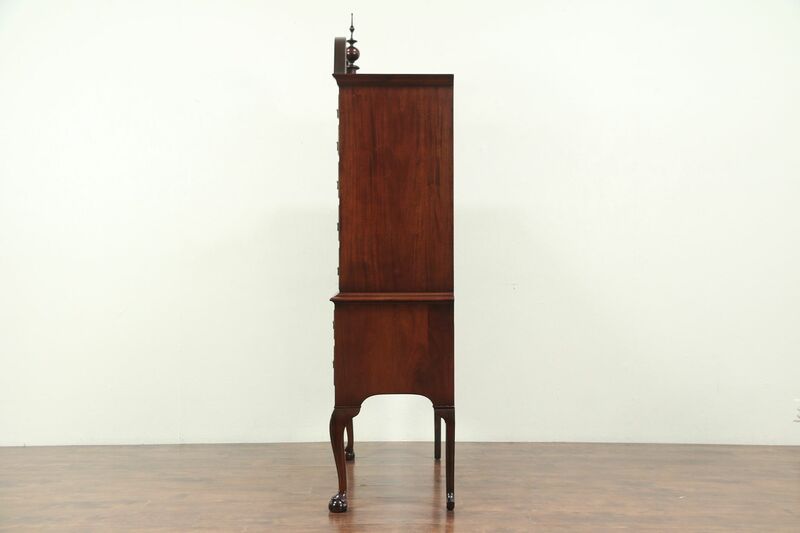 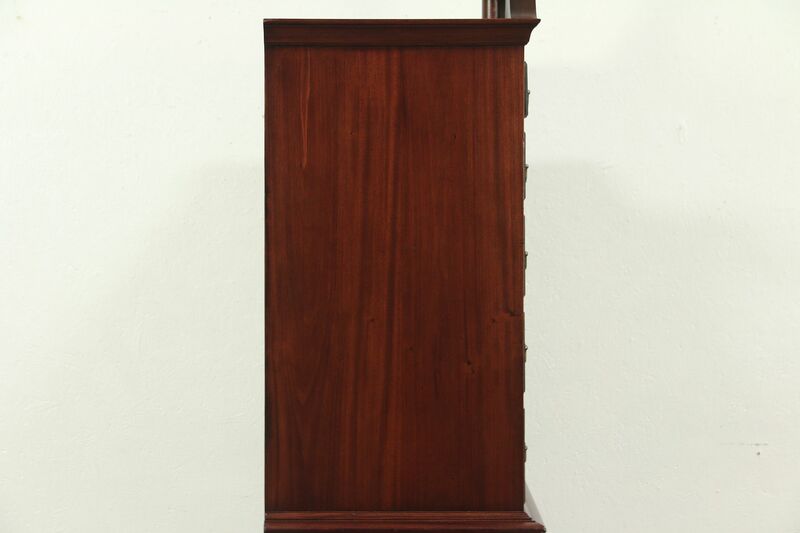 Measurements are 39" wide, 20" deep and 82" tall.